I sat down with Matthias Garcia for a quick talk about tires. At Intense Motorsports Maui, customers often need some information before deciding which tires to purchase. We decided to put something on our website to help. What are most people looking for when purchasing tires? The leading factor for most customers is cost. What should someone look for when deciding what tires to get? Make sure a tire manufacturer is not a fly by night organization. You want your tires to come from a reputable manufacturer. Should I purchase tires directly or go through an installer? It’s always better to purchase tires from an installer. The installer will resolve potential issues between the retailer and the manufacturer. An installer will go to bat for their consumers if they are not getting what they deserve. What else should I look at before getting new tires? Make sure that your alignment and suspension are up to snuff so you don’t compromise tire durability. What is the most popular truck tire brand here on Maui? Nitto is the most popular tire brand at Intense Motorsports Maui. The tires are manufactured in both the United States and Japan. It’s a premium tire brand. They offer long life and the most comfortable ride because of their tread design. The Nitto tires we sell include the Mud Grappler, Trail Grappler, Terra Grappler G2, and the Ridge Grappler. Can you talk about what makes those tires stick out? What makes them different from each other? If you are not concerned about road noise, then I would go with the Mud Grappler. If you don’t want quite as much noise as the Mud Grappler and you want traditional tire design, go with the Trail Grappler. The Ridge Grappler is a newer style and is a happy medium between a mud-terrain tire and an all-terrain tire. The tread design is more aggressive than most all-terrain tires but retains a great look. The Terra Grappler G2 is a true all-terrain tire and one of the longest lasting all terrain tires on the market. We sell several versions of the Terra Grappler G2: the LT-Metric, flotation sizes, and hard metric sizes. The LT-MEtric and flotation sizes last for 50,000 miles; the hard metric sizes last 65,000 miles. What is the best selling tire here on Maui? The Nitto Trail Grappler was previously the top seller at Intense Motorsports Maui. 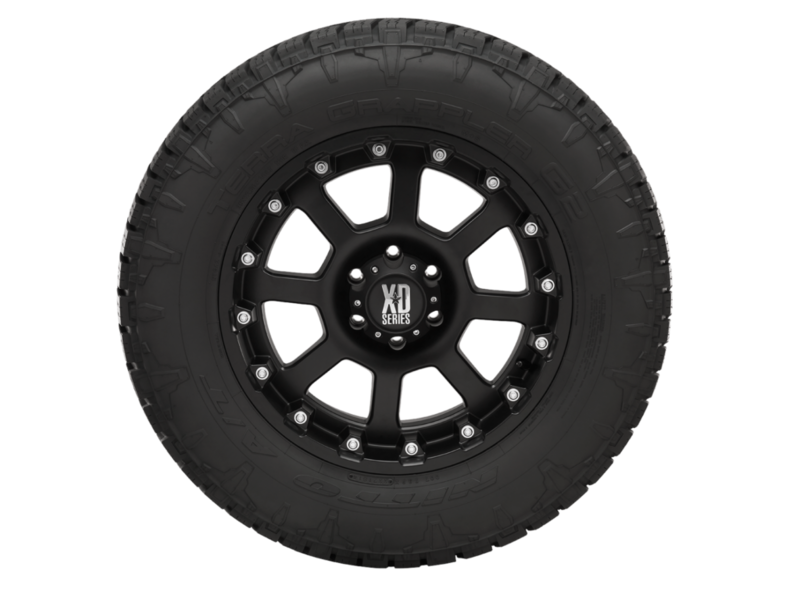 However, recently many of our customers go for the Ridge Grapplers too. Currently, Ridge Grapplers and Trail Grapplers sell about equally. What is your favorite tire? I don’t know if I have a favorite. I will say that we have Ridge Grapplers on our shop 4Runner and the drive is as smooth as silk. What other tires do we sell? We sell lots of Toyo, Atturo, Fuel, RBP, BFG, and Fury. We sell more Nitto than anything. I feel really confident about selling Nitto. Our shop stands behind them. Do you have aftermarket tires on your truck? Are you thinking about getting some? Are there any questions you have for Matt? Let us know in the comments. What is Life Like After Lifting Your Truck or SUV?